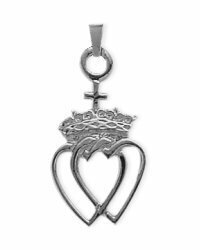 This high polish Celtic Crowned Heart pendant is made of genuine sterling silver and measures 18mm or 0.7 inches in height and 10mm or 0.4 inches wide. It is available in a pendant with a 16ö, 18ö, 20ö, 22" or 24" chain. This high polish Celtic Crowned Heart pendant is made of 10 karat yellow gold and measures 18mm or 0.7 inches in height and 10mm or 0.4 inches wide. It is available in a single pendant or a pendant with a 16ö, 18ö or 20ö chain. 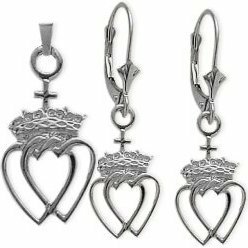 This Celtic Crowned Heart earrings and pendant set is crafted in genuine sterling silver. The pendant measure 10.4mm or 0.4 inches in width and 24mm or 0.9 inches in height and the earrings measure 10.4mm or 0.4 inches in width and 33.8mm or 1.3 inches in height. The pendant is available with your choice of a 16 inch, 18 inch, 20 inch, 22 inch or 24 inch chain. 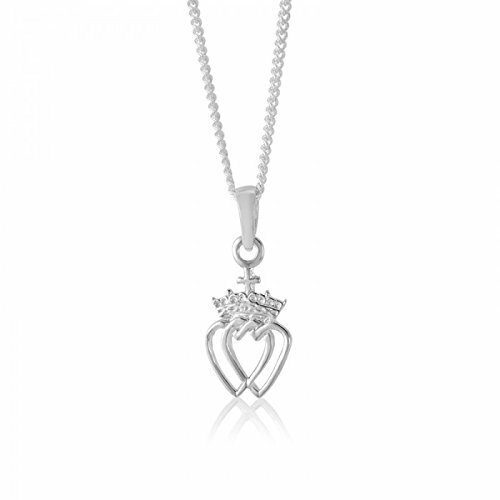 This Celtic Crowned Heart earrings and pendant set is crafted in 10 karat white gold. The pendant measure 10.4mm or 0.4 inches in width and 24mm or 0.9 inches in height and the earrings measure 10.4mm or 0.4 inches in width and 33.8mm or 1.3 inches in height. Available with a 16 inch, 18 inch or 20 inch chain. 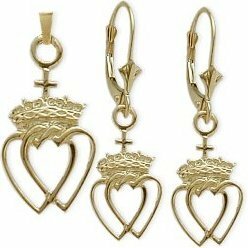 This Celtic Crowned Heart earrings and pendant set is crafted in 10 karat yellow gold. The pendant measure 10.4mm or 0.4 inches in width and 24mm or 0.9 inches in height and the earrings measure 10.4mm or 0.4 inches in width and 33.8mm or 1.3 inches in height. Available with a 16 inch, 18 inch or 20 inch chain. Шар, сфера с орнаментом. Sphere, Ball with ornament. Rhinoceros. Tutorial.